From a young pinky, Tito has been allowed to play and have no responsibility. As he matures, he gains chores and begins to develop a role throughout the village. All the while, the Boom Rockers have regular adventures that he must attend because that is where his allegiance resides. He hides the balancing act of a pack leader amongst his friends and acquiring new tasks from a more mature end within the village. His inner conflict of how to become the young buck every villager expects of him becomes increasingly taxing because he's not sure how accepting his clan will be to his new demeanor. After all, his friends have followed in his shadow without him ever realizing, but one at a time, they begin to have their own spotlight. Can Mr. Adagio help to make sense of it all? 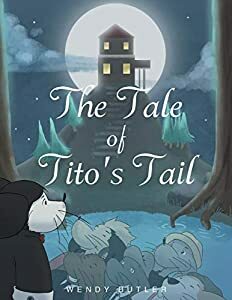 When the leader of the village, Uncle Guido, decides to throw a project at Tito, it's a great deal of stress that Tito manages to pull off, but not without the help of his friends. The clan once known as the Boom Rockers slowly molds into a sharp-dressed mafia of problem solvers for the village. Tito learns the definition of true friends when the size of the village more than doubled in size overnight. While exploring into the great unknown of Genoa, Italy, little does he know he will also expose the reasoning behind the shortage of cheese throughout his village. He never meets a stranger, but now, he's forced to. Award-winning Blue Balls Parenting is Dirty Business sets out to make you laugh!! Sleepless nights, dirty diapers, the fear of missing out on the best preschool in town. No doubt about it, being a parent is tough.As parents, we want to be the best role models and even though we try to watch what we say when little ears are present, we sometimes slip up. Colloquialisms like blue balls, innocent phrases like I want a boy toy at the fast food franchise, or your package is huge at the post office are just waiting to sneak into our conversations with kids.It s impossible not to laugh!Collected by Sunshine Sweet and delightfully illustrated by Emmi Ojala, Blue Balls: Parenting is Dirty Business allows us to enjoy a few chuckles while we tackle the serious work of raising kids in the 21st century. Thomas and his giant companion have disappeared. At the mercy of the evil king of Westland, in great peril, and with no hope for escape, Thomas faces an impossible test for survival. Book Three caps this award-winning trilogy with a danger-ridden triple quest: save Thomas, redeem a lost people, and reverse the land's painful slide toward destruction. Can help be found in a mythical cave at the far edge of the world? Whispered legends speak of a ferocious tribe, fearsome obstacles, and fabled treasure. 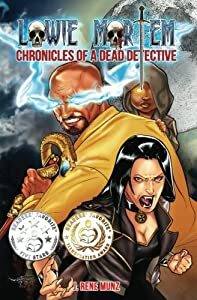 Join Thomas and his companions under an uneasy truce, risking all to seek the source of redemption-the Cavern of Promise-in a journey that could bring deliverance… or doom. Quack! is a touching allegory written in rhyming verse about a little girl who struggles to understand the meaning of life and love. She befriends an unusual duck who unexpectedly changes her life. Readers of all ages will relate to this universally emotional and inspirational story about love and relationships. "Really, just a delightfully told and illustrated story about a little girl discovering that sometimes life just "is what it is" and need not be completely overthought. Elena learns that it's okay to let go, trust her instincts, and love freely-with an insanely adorable duck showing her the way. 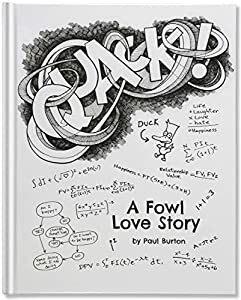 Burton's charming style, in both his verse and illustrations, makes Quack! a book my kids and I will reach for over and over-discovering something that resonates anew each time"
"Smartly written, a great read. The illustrations are fantastic. A collector's item in the making!" "Paul Burton's warm and charming story "Quack" gently reminds us all, children and adults alike, of the magic we can find when we trust ... in ourselves, in friendship, and in love. It is a story of self-discovery, letting go of fear, and surrendering a sometimes desperate need to understand and control everything. The story's simple truth is accompanied by exquisitely rendered and brilliantly arresting black-and-white illustrations. Burton juxtaposes his elegant linear draftsmanship - his extraordinary assurance of line - with the quirky, charming, and playful characters depicted, and the result is truly unique. This is a book you and your children can spend hours discovering and enjoying visually, and the simple, lyrical rhyme of the story will make it a pleasure to real aloud, over and over again. It is, truly, a timeless book." 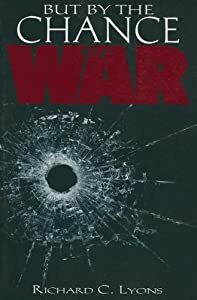 But by the Chance of War is a uniquely different type of book. Between its covers, the book presents four dramatic stories of war from India’s fight with the Ephthalite Huns, to the Fall of Fort Niagara in the Seven Years War, to the trenches of World War I, and finally to modern-day circumstances and actions in the Middle East. Author Richard C. Lyons takes a creative approach to presenting his stories by writing in a dramatic poetic style. A project that took years to complete, it captures readers and takes them through the ages presenting the similar issues and strife of four different global conflicts in history. Each story also looks at the religions governing at the time in the regions in question, and how those beliefs impact the decisions made. As we look at history and how it has shaped us, how will we move forward in an age when technology and weaponry are meant to destroy everything in their path? 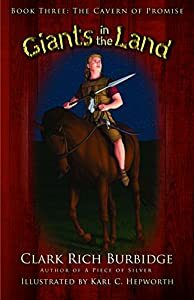 When she finds herself forever-stuck in the bizarre and unwelcoming Bewilderness, no-nonsense Prudence Parks can't rely on her intellect alone to outwit the vengeful Match King. To find her way home is going to take a bit of magic and a lot of imagination. *** Prudence Parks is perfect. As a twelve-year-old genius, she’s got the world in her pocket. No messy friends. No silly games. Everything is textbooks and Bunsen burners—until her father leaves her an orphan. When she tumbles into the bizarre realm of Bewilderness, nothing is as it should be. Insects talk, pirate ships sail on sand, and plants are just plain evil. By the time Prudence is imprisoned for claiming to be human, she’s certain things can’t get any worse. She’s wrong. The Match King, posing as an ally, promises to send her home if she can find the Paper Heart, an ancient treasure of unfathomable power. 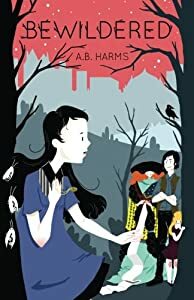 Battling her sense of logic all the while, Prudence explores magical lands, sips from sugary seas, and even makes friends, who help her understand believing isn't always seeing. But danger lurks around every corner, because the Match King is watching, and if he finds her, Prudence will have to choose: save the world she has come to love, or find her way home.